The main problem with auto injury is that the whiplash directly damages the ligaments of the spine which significantly affects the stability of the body’s structures. This is exactly what our team of massage therapists target to help get you better quickly and efficiently. Here are some signs you should look for after a car accident that may indicate you have a bigger auto injury claim on your hands than you realized. You are concussed when you have had a blow to the head that may have taken you temporarily out of consciousness. Most auto injuries happen as a result to a violent shock to the body. Unfortunately the body is so resilient in the moment of shock that we do not typically feel the effects of the injury until days or even weeks later. If your head was hit during an auto accident, it is very likely that you may have a concussion and not even know it. If you have, and experience headaches since the accident, massage therapy can help reduce them. A jerk of the head during an auto accident can easily cause instant whiplash to the neck and spine. This is an over extension of the spinal cord that can disrupt nerve endings, pinch nerves, and dislodge hanging ribs. All of these possible and very likely events can lead to ongoing headaches, stiffness, and sore muscles. It is important not to overlook these very important signs. Massage therapy can help those soft tissue regions to relax and allow for proper healing. All too often an auto injury will consist of complains of knee pain. This is due to the fact that your body had been thrust forward, forcing your knees into the dash. It is very common for knee injury to go unnoticed as most effected parties are hyper focused on making certain everyone involved is okay, and trying to get everyone out of harms way. You may notice your knees are sore, achy and walking or bending hurts. Massage can help this region greatly! Other than the obvious spinal injuries than can come with any car accident, these three topics are the ones that most individuals tend to brush off. These three can also cause the most ongoing pain and complains when not addressed with a medical professional right away. Even if you think you feel fine after an auto injury, it is important to be assessed and receive massage to the entire body for a few weeks at minimum to ensure your body is healing properly. According to the Mayo Clinic, more than one-fourth of all spinal injuries occur as the result of a slip n fall. Many of these injuries can be serious and long-lasting, especially if not treated properly. An interesting fact about slip and fall injuries, many people often experience headaches and head pain. Even though they never hit their head. A slip and fall incident is jarring to the body, much like a car accident. The body jerks and twists in abrupt movements that it was not prepared for. Many times this results in headaches, stiffness, and nerve pain. Simple movements after a slip and fall incident will cause discomfort and limited your range of motion. The best method of action is a few weekly sessions of massage rehabilitation and chiropractic adjustments for the first month preceding an injury. What did our doctor’s have to say? Our Chiropractors are skilled in providing a wide array of treatment options. Treatment may include: flexion therapy, massage therapy, and others developed for the treatment of chronic and acute soft tissue injuries. Our clinic provides comprehensive slip n fall therapy, relying on state of the art therapeutic techniques based on the most recent of scientific data and studies. Recent snow, icy roads, and freezing rain throughout the Portland Oregon Metro area has caused an overwhelming report of slip and fall incidents. Hospitals and urgent care facilities are being over loaded with emergency cases. Unfortunately, hospitals can only provide splints and medication to injured patients. Treatment for soft tissue and muscle strains begins with the body through the use of consistent chiropractic adjustments and massage rehabilitation is essential. These therapies help to release pinching nerves with resulting pings of pain, improve flexibility and range of motion, and inevitably stop the pain all together. An in-office assessment can quickly tell us what your treatment plan needs to be. Furthermore, how often you should be seen, and which at-home exercises we can safely recommend that you can do in your own time to further improve your healing. Massage Rehabilitation treatment can easily be referred by our Chiropractors, and sometimes even completely covered by your health insurance. Either way, we have your best interests at heart. 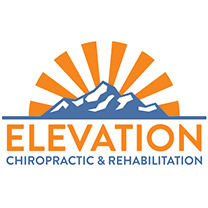 You are in good care at Elevation Chiropractic with any injury or flareup, even slip n fall instances. Don’t delay a small pain or discomfort as it can always turn into a much more serious issue down the road that can last for years if you discard it as nothing now. Our licensed massage therapist are specifically trained to treat soft tissue injuries in a rehabilitative sense. They work with some insurance groups under the direction of Dr. Justin Davis and through his referral to bring your mobility back and reduce your pain levels. Neck Pain and it’s causes: a Chiropractor’s Perspective. It’s amazing, but for the better part of a decade now (my how time flies) I’ve been dedicating my life to the study and treatment, in both graduate school and as a chiropractor, to neck pain. What I’ve found is often we as a medical society use a “paralysis by analysis” mindset when looking at neck pain. As a Chiropractor, neck pain is something I see and treat every day. Most Chiropractors across the country deal with the same thing….so what exactly is the cause?? There are multiple reasons why you may have your current neck pain. A chiropractor or medical doctor may have diagnosed you with any of the following big scary words: disc injury, arthrtiis, degeneration, stenosis, etc. The real question is: are we spending too much time with the specific diagnosis/paralysis by analysis? My perspective is that yes, indeed we are. We may be able to diagnose a possible reason why there is a specific kind of pain at this exact moment in time, but why did the body end up in this position in the first place?? Neck pain continues to become more and more common, not only in the US but across the world. At least half of all Amercians have neck pain throughout the course of a year. The largest cause which we are continuing to find is that prolonged sitting and improper posture is the largest affecting factor to neck pain. This causes the joints in the neck to get stuck in the forward/slumped position. The neck is not the only area affected by this position; the shoulders and mid back follow and you get the “slumped look” – see below. This slumped look starts locking your joints in the wrong position. A perfect example of what this is doing to your body is when you get up from a seated position: you stretch, you walk funny for a minute = everything is off! If you do this for long enough periods all your joints really get used to being in a certain position, which then causes the muscles to follow the same path. Before you know if you’re very very stiff from your joints, and your muscles and body aches…even though you haven’t been doing anything physical! And with how much our society sits these days, it is easy to see why a chiropractor has got his “hands full” of neck pain patients. Chiropractic directly treats this problem, by manually and literally taking the neck joints and putting them back where they should be and out of the locked forward position. Muscles causing neck pain is also treated by a chiropractor, as the spinal adjustments turn off muscle spasm and decreases the prolonged tightness and muscle tone to areas surrounding the joints. We will continue to dive into the different treatment approaches to neck pain, compared and contrasted with chiropractic and other forms of treatment. Neck Pain CAN be helped! I know that dealing with neck pain is never an easy task. You twist, turn, try leaning back, try leaning forward. There’s really not a whole lot you can do in a given day once you start to experience neck pain. Using chiropractic for neck pain is a pretty well-known treatment method these days; unfortunately it has almost become comical at just how simple it is. You come in, lie down on the table, then a few yanks and cracks later you’re done. In and out in 5 minutes flat. Here’s why Sports Medicine Chiropractic treatment is better. So why fix it if it ain’t broken? This is a very outdated chiropractic treatment philosophy. These days there are many more clinics adapting a “sports medicine” philosophy. These are just a few things that are becoming much more mainstream for chiropractic neck pain patients we treat in the Tigard community, all of which lead to a much faster recovery time and ultimately less time and money spent at the doctor’s office. Much more to come on this and other types of conditions, including those that can increase risk of neck pain, that a sports med chiropractor can keep to a problem before it even begins. Does it feel like you’ve been K.O.’d? Dealing with neck pain can be very aggravating. Stiff, sore, aching neck and shoulder. After a while you start to feel like you’ve been in a boxing match, and you didn’t exactly win. So what do you do? If you ask around, friends will give you their take. Blogs online will say to either use heat or ice. Should you stretch or rest? Didn’t someone say something about getting up and moving, or, are you supposed to put it in a brace? Neck pain self treatment can be looked down upon, but there are some helpful tips on what you can do at home safely. The answer to these questions can be all over the place depending on what resources you use for the justification of neck pain self treatment. Neck pain is very common, affecting nearly half of all Americans. This is directly relatable to our increasing reliance on sitting during both work and during our off time. Massage and Chiropractic are the most common initial treatment methods that most people begin with, followed by acupuncture and physical therapy. Then there are many that choose to go the drug and surgical route right off the bat. Neck pain self treatment, when taught with the emphasis of chiropractic, can help to maintain good motion of joints within the neck and back. Although it varies from case to case, there are several general rules when applying self treatment for neck pain. The mostly used general rule regarding neck pain self treatment is ice for fresh injuries. You generally can’t go wrong in the first 24-48 hours of an injury or flareup with an ice cold gel pack on your neck.